Orion Talent and Orion Novotus, (“Orion” or the “Company”), together, a leading human capital management platform offering a unique combination of military, skilled professional, and Recruitment Process Outsourcing (“RPO”) solutions. The Company is comprised of a core military hiring capability in Orion Talent and award-winning RPO services through Orion Novotus, thereby creating the market leading end-to-end talent acquisition and recruitment process solution. Insight 2 Design, LLC. and Elevate, LLC (collectively “Worldwide Camping Holdings”) are rapidly growing, multi-channel pioneers in the outdoor camping equipment industry. The Company’s proprietary brands and comprehensive suite of merchandising solutions are mission critical to several of the largest outdoor product brands and retailers in the world. Rugs Direct is the country’s leading specialty online retailer of area rugs, throw rugs and rug runners. The company’s website, www.Rugs-Direct.com, receives over 46 million page views annually by consumers, home decorators and professional interior designers. 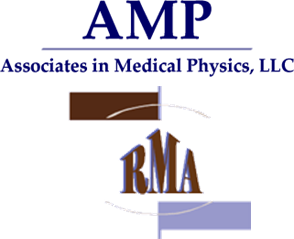 Medical Physics Holdings (operating as Radiation Management Associates, LLC and Associates of Medical Physics, LLC) is a leading provider of medical physics staffing and support services to hospitals, independent centers, imaging centers and private practices throughout the United States. LSC is the global leader in spray-applied environmental coatings that solve some of the world’s most complex soil stabilization issues, including erosion, odor, land reclamation, waste cover, seeding and dust control. reQuire is a market leading provider of technology-enabled real estate services, including lien release tracking, deed recording, residential and commercial lender due diligence, investor technology and other services for the lending and settlement community. SPT is the global leader in providing rumble strips, a vital roadway safety feature to alert inattentive drivers of potential danger, and related roadway safety products, including but not limited to “quiet” rumble strips, road brooming, and grooving for recessed pavement markings. Merit is one of the largest snow removal and landscaping companies in the US. The Company manages a national network of 3,000+ subcontractors, allowing it to selectively self perform or outsource its service offerings to major customers without significant CAPEX investments.